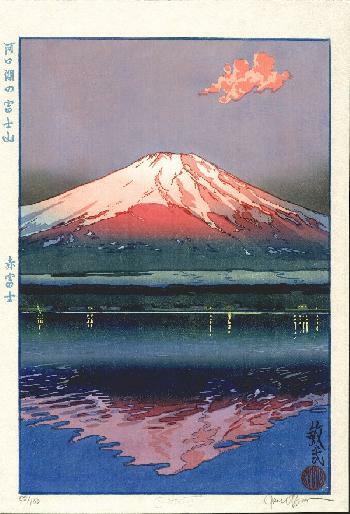 Aki Fuji; edition of 100. Printed with 22 different colour blocks, with mica in the water. Signed and sealed: Binnie, with pencil signature right bottom border, plus impressed "Binnie" in the bottom margin.